The Mariposas Hydroelectric Project consists of the construction and operation of a Run-Of-River hydropower plant of 6.3 MW. 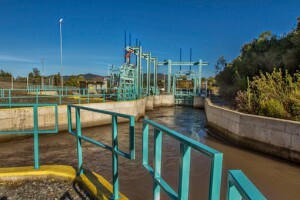 The Project uses the waters of the first section of the Maule Norte Alto canal, in the San Clemente commune, in the country of Chile. The project generates electricity from renewable hydrological resources, using water utilized by the local community for irrigation purposes. The development of the Project however, does not affect the local irrigators since the water used for generating electricity will be restored to the same irrigation system, before the local community uses it. The project is able to generate an average of 40 GWh of renewable energy per year. Reduction of greenhouse gas emissions produced by thermal electric plants, fired with fossil fuels such as coal, diesel and natural gas. Improvement of the air quality in the area where the project is developed, due to the reduction of fossil fuel burning. Contribution with clean energy to the Electricity Grid of Chile, contributing to national development. Increased commercial activity through clean and renewable source of power. Employment generation in the area where the project is located: 250 local jobs during the construction phase and 5 permanent jobs during its operation. Economic benefits to the surrounding communities of San Clemente, Pelarco, Colbún, Linares, Curicó and Talca, which have a high rate of unemployment and poverty. Improvement of the irrigation system (near 2,200 irrigators), through annual payments for the water rights. Demonstrations of finance and development of renewable energy projects through a small startup company using Voluntary Emission Reduction (VER) as a relevant finance source.